Everyone looks forward to going on holiday; we all get excited about the opportunity to get away from the daily grind for a little while. Many of us from the UK will opt for a beach holiday, laying in the sun and enjoying the warm weather. But, do you ensure you’re keeping your skin safe whilst enjoying all that the sun has to offer? Here at Premier Laser & Skin we have put together a plan to treat your skin after you return from your holidays to help minimise any potential skin concerns your holiday may have bought out. A HydraFacial Treatment is a wonderful way to say you’re sorry to your skin for over-burdening it while enjoying your holiday. One treatment can go a long way to providing great skin care for the long term. Antioxidants, hyaluronic acid, and amazing peptides combined to give your skin the soothing attention it deserves. 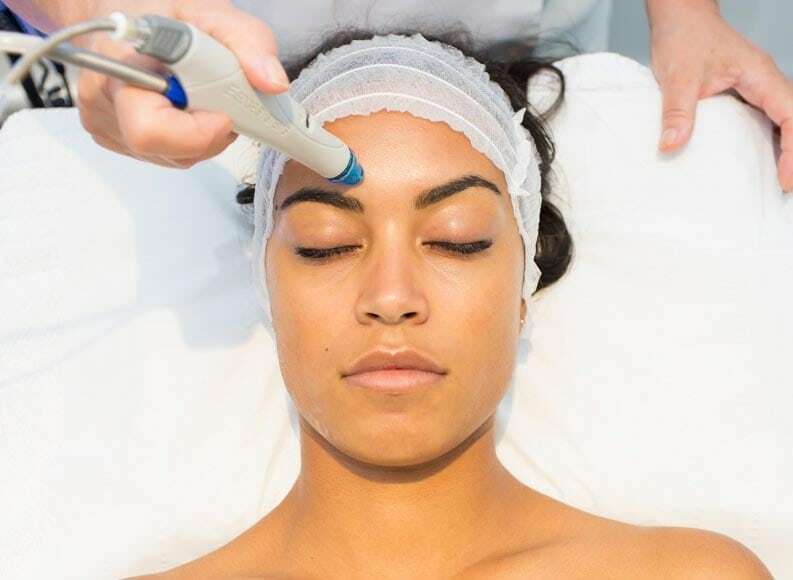 HydraFacial Treatments are non-invasive and have all the benefits of hydradermabrasion and a chemical peel with no irritation or downtime. A Cosmelan® Depigmentation Peel can help restore brightness to skin that may have been damaged by the sun. Over-exposure to the sun and its harmful UV rays can bring out pigmentation, or darker colouring to your skin. Cosmelan® is proclaimed to be one of the most widely sold depigementation treatment in the world. Treatments using this method inhibit melanin production and remove or lighten dark spots and blemishes. Skin also loses hydration when out in the sun for long periods. When it loses its suppleness and flexibility, skin can start to look weathered and dry. The C Infusion Peel is a wonderful cure for dry and tried skin. The C Infusion Peel restores and revitalises dry and tried skin by penetrating deep, nourishing and moisturising to help jump-start the cell renewal process. Don’t you feel refreshed already? After treating yourself to a lovely time on holiday, it’s always good to remember to treat your skin as well, pampering it with all the essential ingredients needed to rejuvenate it. Book your free consultation here to find out more about our different skin treatments.